Parents, are your children driving you crazy? Does it seem like it’s been forever since you and your spouse had any time just for the two of you? If only there was a place they could go while you both could get a little peace and quiet and maybe even a date night in. Well, you’re in luck. 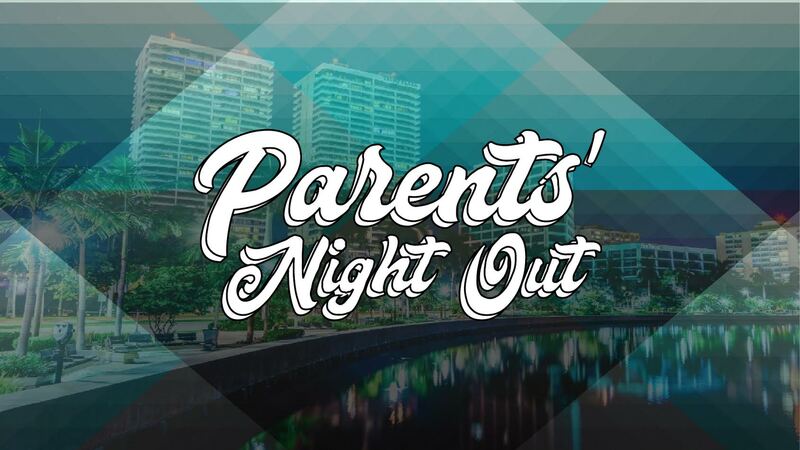 Introducing Parents Night Out, a free childcare for ages 3 to 12 directly following the first Saturday Night service of the month. Children must be checked-in in time for Saturday night service at 6 pm. They will get worship and the lesson during service, and the fun will begin at 7 pm. There will be a free dinner for your children, games, fun, and much more! All you have to do is register ahead of time by noon each Friday before and remember to pick your kids up by 9 pm. Reclaim date night and sign up today!